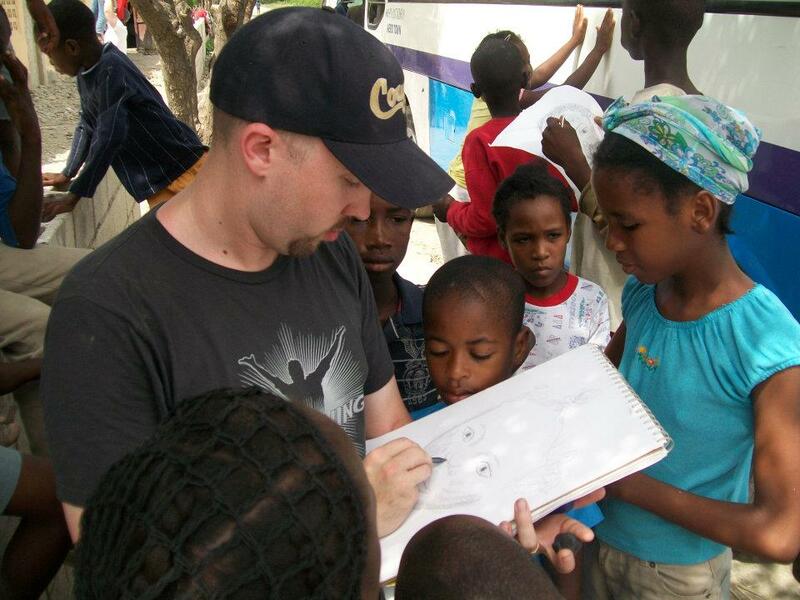 It is difficult to name a single experience during my week in the Dominican Republic as the highlight of my trip. So many moments stand out as significant, each in their own right. Feeding an entire village what they will survive on for the following week is definitely near the top of the list. Watching children take naturally to making music with a djembe I constructed was extremely gratifying. I only knew a few of our twenty-one person team prior to the trip; each new friendship built within the team as we served together will remain a significant part of my life. 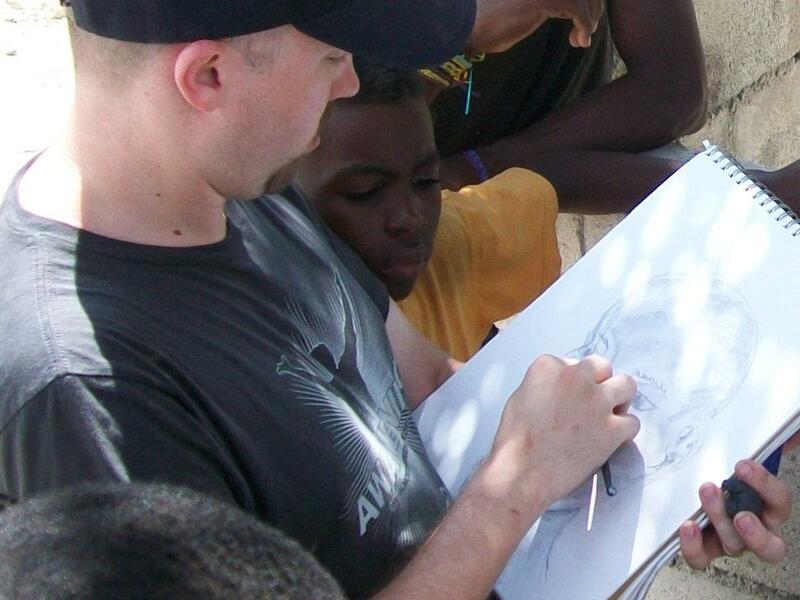 However, one day in Batey 9 will stand out as a defining moment of this trip; the day I brought my sketch pad to the batey. The batey communities are composed of Haitians. Many years ago, Haitians began immigrating from Haiti to the Dominican Republic, looking for work harvesting sugar cane from one of the many fields that line the main highway. Dominican cane field owners welcomed the additional hands and put the Haitians to work with their machetes. Industrialization of cane farming continues to limit the amount of work available to the batey communities, but their options are extremely limited. Haiti will not accept these individuals back into their home country. Dominicans are largely discriminant against the Haitians, making it impossible for them to reside in Dominican cities. Rejected by the country they live in and their homeland, residents of the batey are stuck to live as best they can on their own. Needless to say, these communities are extremely poor. I did not see a single mirror as I walked through Batey 9. Children ran up to us exclaiming “Foto, foto!” They were asking us to take their picture and then show them the an image of themselves on our camera digital screen. We all responded enthusiastically to their requests, sharing 2″ x 3″ images of children with the wide-eyed subjects of the photo. Unfortunately, there are no printers int he batey (hardly any electricity, for that matter), all the pictures we took came home with us. Then the light bulb turned on; my sketch pad would come with me the next day. I would spend the next day drawing as many people as I could, giving those images to the face it matched. 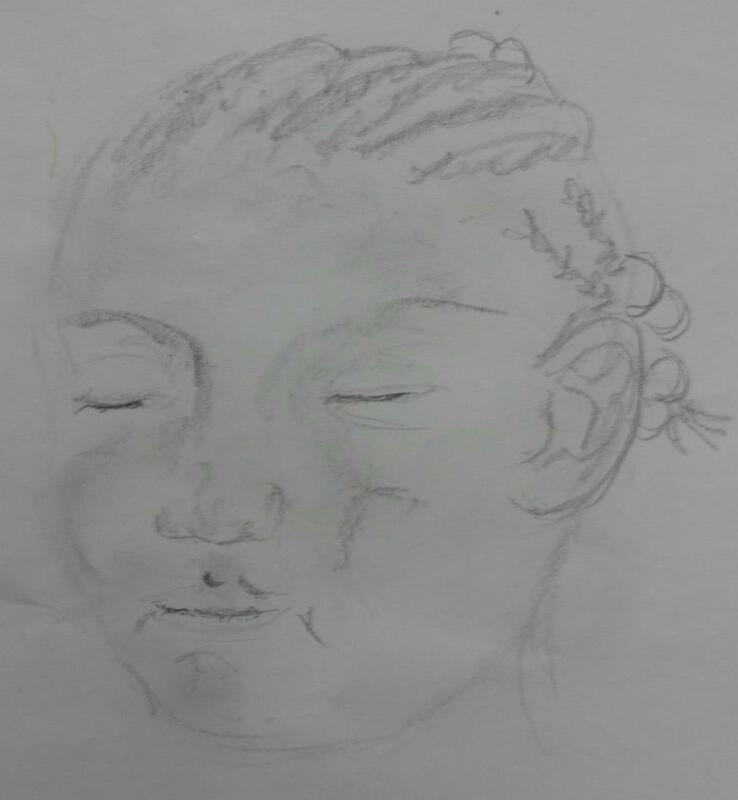 The drawing below is of a 2-3 year old girl who never received her drawing because I did not see her again after finishing it. Ironically, as we were walking to the bus one morning in Barahona, Dean (lead pastor at North Ridge Church) joked with me, thanking me for not drawing his face as I interpret his messages. My response; “I’m not much of a portrait artist.” God definitely has a sense of humor! On the hour drive to the batey this day, a few of us discussed God’s call for each of us based on the skills He’s entrusted us with and discerning how we should best use what we’ve been given. Sometimes finding our place in the body of Christ can seem illusive; on this day in Batey 9, my place in the world smacked me in the face.